Probably some of you (see: “Nobody reads this website”) have wondered (see: “Nobody is emotionally-vested in this site”) why they haven’t seen a review posted in a while. And to those people (see: “non-existent individuals”) I say this: there are reasons for such. Let’s start with XCOM: Enemy Unknown, shall we? Bought this game at launch, played it incessantly for about a week. Now, when I say I “played incessantly” that does not equate the “marathoning” approach that others take. For me it means about three-hour sessions daily. Any more than that and my “what else could you be doing instead?” guilt complex barges in. That aside aside (that’s not a spelling mistake, but a “witty” arrangement of words) XCOM was fun. High stakes/calculating/ripping out hair fun…and I mean that in a good way. The game’s save system is totally manually operated by default, though, and this usually transforms the usual “under-saver” into an “every other minute” save-obsessed fellow. Of course, if this “stop to save” mentality isn’t buoyed with multiple save files or a careful evaluation of the situation at hand, you could save yourself into a rut; a scenario from which not even the most-skilled player could extract their squad. What I’m trying to say is that this game requires undivided attention, to a degree that few other games have surpassed. Every move into cover, every flanking attempt, every ambush, they all put you on edge. Understatement of the year, that is. 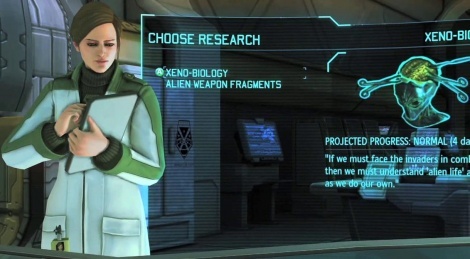 So when the “random encounters” of XCOM take an hour and a half to execute, and the game has a 3-4% chance of freezing when it transitions from my turn to the aliens’…I take notice. When this is followed by the notice of an “impending patch,” I’m more inclined to wait things out. Here’s one I don’t play for the audiovisual presentation: the graphics outside of Holmes and Watson are decidedly dated, the lip synching (both in terms of animations and timing) are “off,” and the criteria for all voice actors was that they possess a “passable” British accent. I play it because of the “old-school” point-and-click nature of things, but mainly I’m “on board” for the puzzles. Sure, I’d appreciate a more imaginative adventure game narrative a la Grim Fandango, Dreamfall, or Monkey Island, rather than the “You are a detective. Detectives solve mysteries. Mysteries involve frustrating puzzles” trope. But with adventure gaming…we take what we can get. As for me, I prefer to play Sherlock in the company of other people, that way they can see me for the “genius of adventure games/idiot of common-sensical matters” person that I am. Of course I can tell you that you’re supposed to combine the goldfish bowl and the ball bearings in your inventory…but I’m still more than likely to be stumped when it comes to lock-picking. Admittedly, didn’t think this game would be this good. Or this long. I did anticipate disorienting myself to the point that neither map, nor waypoint marker could rectify the situation. Did not envision spending half an hour on average finding any place within the Dwarven city, though. It’s not just me having this problem either; message boards, forums and yes, Yahoo Answers, are riddled with players wondering what ingredients are required for the “F*cking hold my hand” potion. Some apologists have “spun” this “DIY orienteering” as an intentional gameplay element, or a concerted move away from the “tell me exactly what to do-ness” that is virtually part and parcel of most modern gaming. Sure, it’s somewhat clever that the game won’t unfurl a sparkling trail to places I haven’t been told how to reach, or automatically send me off to punish a culprit without the player first establishing that he or she is indeed the “guilty party.” But when it’s a Grade-A strugglebus to arrive at said destination? That’s when we have a problem. Also, the game’s a bit of a “lore-dump.” So I appreciate that protagonist Geralt is witty, but equally blunt and to the point. Mainly because every other character wants to obsessively discuss people you don’t know, places you’ve never heard of, eras and dynasties you couldn’t care less about. Maybe this does something for those that have read the novels and/or played the first Witcher title, but its muddled up my understanding of the plot to the point that “getting back my Ginger” is the only main objective I clearly understand. 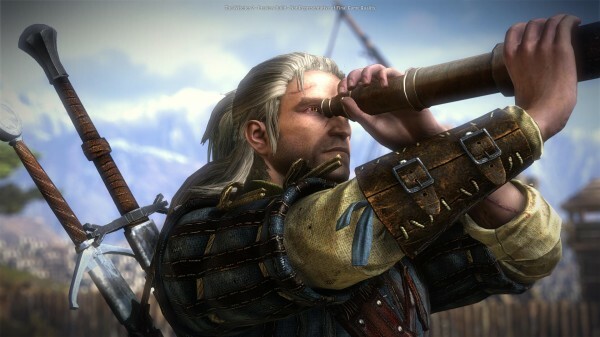 Let’s be clear: I’m having fun with The Witcher 2, it’s just a damn long game. And that’s pretty much it. 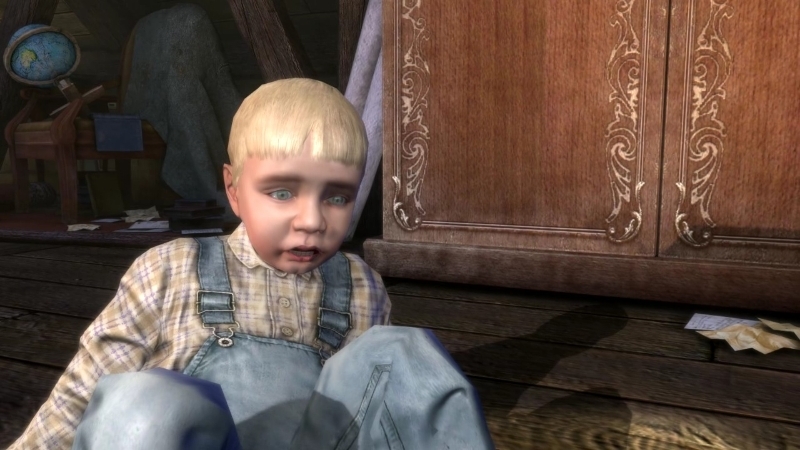 I haven’t returned to GTA IV partially just to spite Zander Riggs, and partially because I’m not sure I want to ascend the learning curve to where I left off in the game, give or take about 20% short of the end. Finally, I won’t be replaying LA Noire despite now owning all of the DLC because I am a sore loser who tends to reload old save files when I accuse people of crimes they clearly didn’t commit, or let the murderer off the hook. There are quite a few more games I could add to this list, but dwelling on these is already inducing a migraine, and perhaps this series could do with a part two anyways.